The EFW Efficiency Index™ responds innovatively to a clear challenge: the integration of climate change & environmental risk-mitigation considerations into portfolio management without compromising on performance. The Index responds to a specific need from global investors to adopt more advanced investment decision-making, to protect their portfolios from both climate change risk and natural resources scarcity, and to enhance their performance. 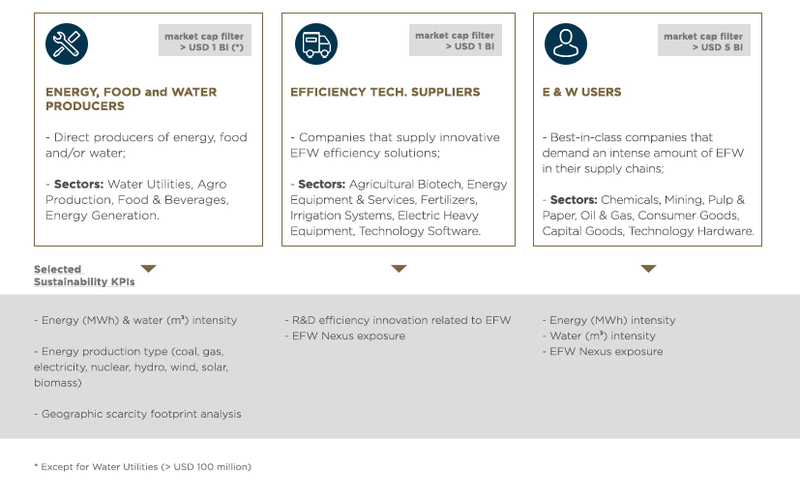 The EFW Efficiency Index™ was presented at the World Investment Forum in October, 2014. 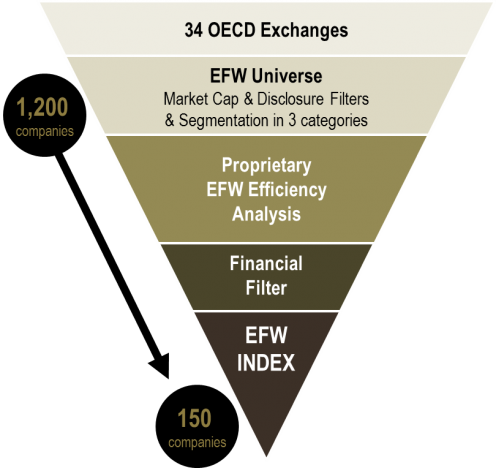 Tailor-made financial products replicating the EFW Efficiency Index™ can be structured for interested investors. Please contact EFW Swiss AG (info@efw.swiss) for a solution that addresses your portfolio needs.